New series writer and Eisner Award-winner Paul Jenkins (Revelations, Batman: The Dark Knight) teams up with artist Jonboy Meyers (The Savage She-Hulks, Marvel Adventures Spider-Man) to shed light on Al Simmons’ tragic past in the collectible issue, SPAWN: RESURRECTION #1. Al Simmons’ highly-anticipated return to the series will then pick up with SPAWN #251. Five years ago, Al Simmons removed himself to a state of limbo by means of suicide. But what tragic revelation could persuade him to finally return to the city, and how is this connected to the very creation of humanity? Featuring a special guest character: God. Trust us: you've never read a SPAWN comic like this before. 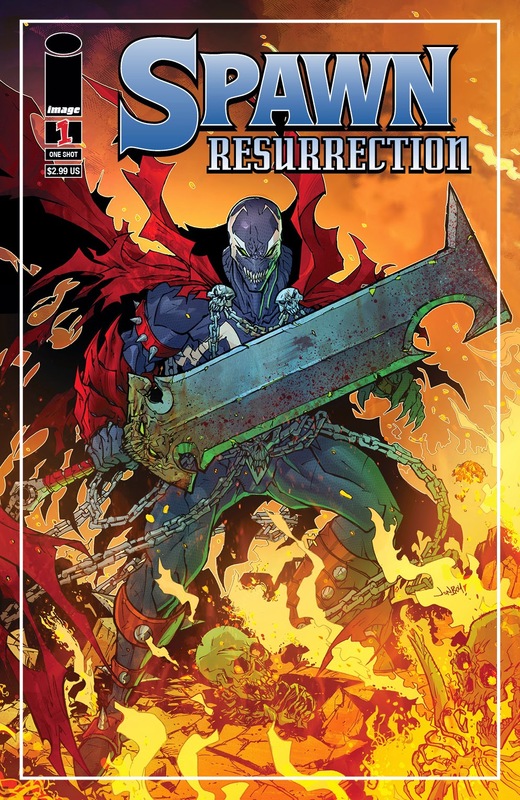 SPAWN: RESURRECTION #1 hits stores on March 11th and can be pre-ordered using Diamond Code DEC140602. Cover B by McFarlane can be pre-ordered using Diamond Code DEC140603.